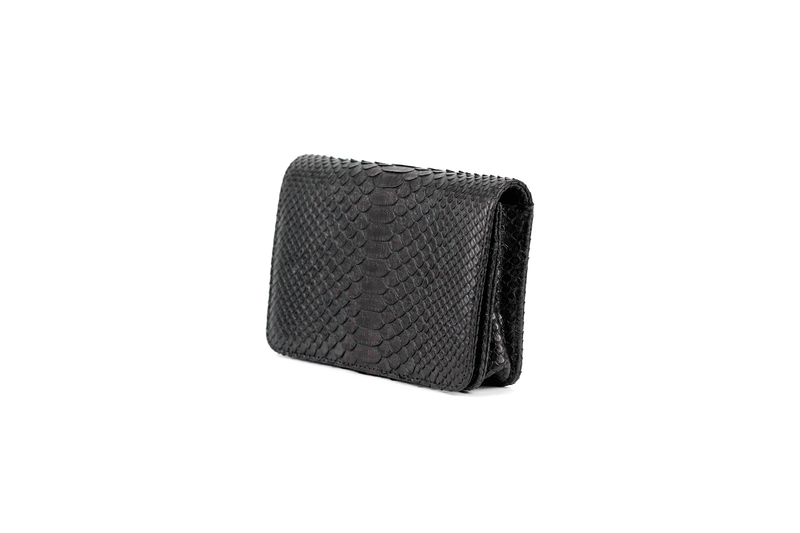 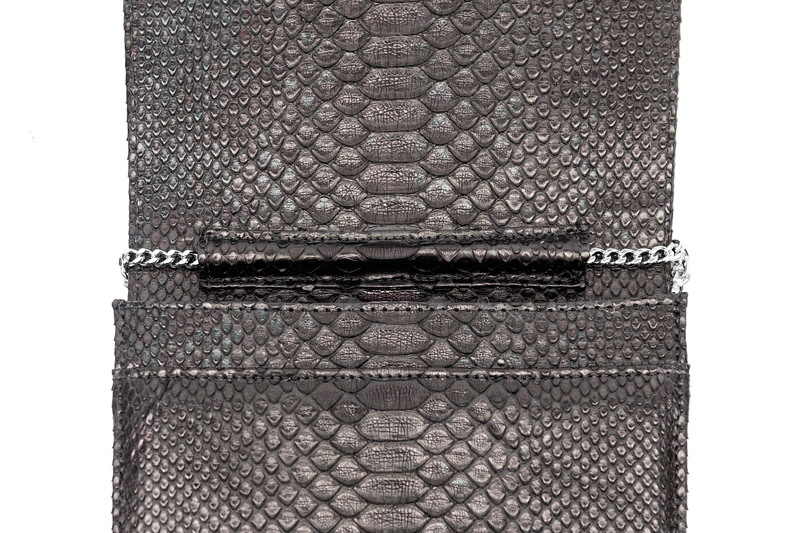 This bag is beautifully crafted with Genuine Python Skin. 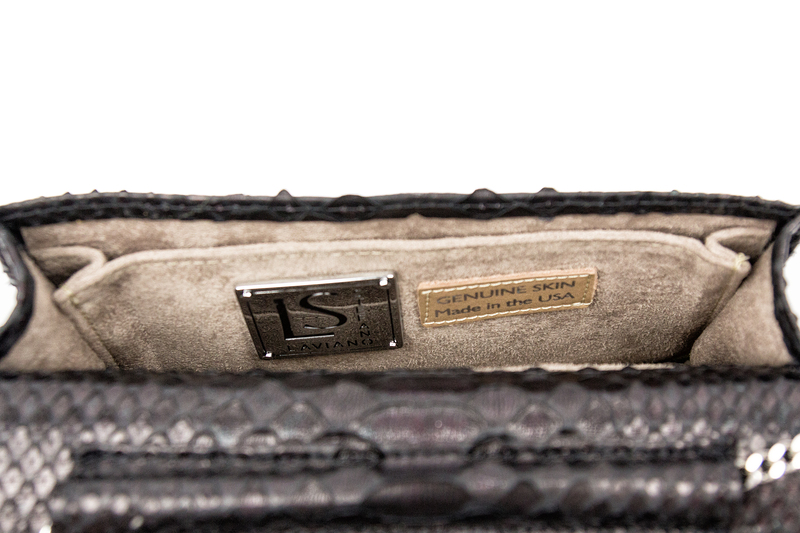 A small but stylish bag with inside back wall pocket , Italia Inspired Gold Medal Shoulder strap ,fully Lined in smooth suede & outside pocket. 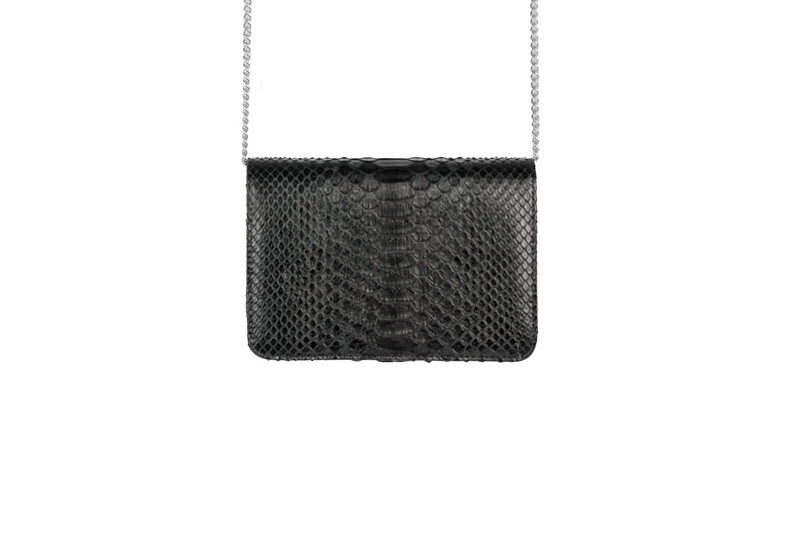 It comes with an elegant long chain into bag to use as a evening bag, cross body bag, shoulder bag or a clutch.